OK, don't let your heads explode, people. Even though Smart USA is running an effort that melds concepts from the mobile game that just will not leave the waking world alone—Pokemon Go—with the buzziest digital platform in recent months, Snapchat, we'll all be OK when the dust settles. The Mercedes-Benz brand, which sells eco-friendly cars, is encouraging its social media followers to take photos of its "smart vehicles" in the wild and share them by snapping @smartcarUSA. 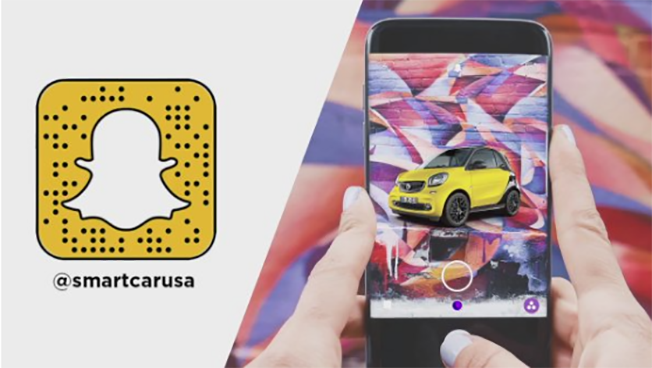 "The brand is surprising and delighting some of their followers on Snapchat with smart-branded gear," Mark Aikman, general manager, marketing services for MBUSA, explained via email. "For years, #smartspotting has been a way for consumers to share the smart cars they see on the road every day on social media. By leveraging the Pokémon Go phenomenon, the brand is able to take #smartspotting one step further with this treasure hunt-style activation on Snapchat." The goal is to target Gen Y consumers. Whether or not it works—getting Snapchat users to play Pokeman Go instead of just using the Pokemon Go app—is anyone's guess. Meanwhile, Pokemon Go continues to be a hot topic this week. Retailer marketers are especially interested in how it can help drive foot traffic into their stores.